I will admit I’m a nightmare to buy gifts for. If I want it, I generally have already bought it. So my kids tend to dread Father’s Day because they have to find a gift that I want that I haven’t realized I want yet. Well, that’s how it should work in theory. In practice, they tend to usually just send me a text or throw donuts at me. Don’t get me wrong, I’m fine with some donuts. So now you’ll understand why I was surprised when Drew suggested I put together a list of Father’s Day gifts I’d think were cool. So I did that and sent him a list. To which he replied, “No, I meant write a blog post about stuff we rent that would make good Father’s Day gifts. You know, so people can give their dad a gift certificate and some suggestions.” So, here’s my first gift; some advice to all you fathers out there: don’t ever end up working for your kids. Let my life serve as a warning for you. Then, just to rub salt in the wounds, Sarah came by and said, “Write about stuff dad’s would like. You know, like 28-300 consumer zooms and superzoom compact cameras.” Sarah is very young and doesn’t realize people over 40 still have reason to live. In fact, she’s so young and naive that she didn’t even realize how close she was to a near-death experience there in my office. 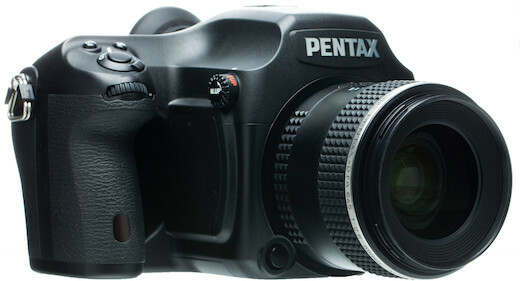 Actually, going through the Lensrentals site looking for potential Father’s Day gifts ended up being pretty fun. For those of you who don’t know, I only do repairs and quality assurance for Lensrentals these days, so the first time I see many new items is when they break. I really hadn’t spent time browsing our websites in a year. We have all kinds of stuff I didn’t know we had, and some of it is pretty cool. So I’ll show you some of the things I found. And because I’m quite passive-aggressive, I’ll also show you the cool stuff that was on my original list that we don’t carry. You know, the stuff I went ahead and ordered for myself because, well, I can depend on me to give me cool stuff. Sarah probably told Drew I wanted a 28-300 zoom. Well, first of all, the simplest thing is to just get a Lensrentals Gift Certificate and let Dad get what he wants. Unless you really know what he wants. But my life experience suggests that, no, you really don’t. I’m a dad so I’ve limited this suggestions list to Dad Tested items; things I actually took home for a weekend and really enjoyed. And after the weekend, I didn’t feel a burning need to buy one and have it forever. I think that makes the perfect father’s day rental gift: he liked it, got to play with it, and saved about half a zillion dollars because he didn’t buy one. What will he want to try out? Well, my usual suggestion is, when in doubt, go for the extreme. So a BAT (Big Telephoto) with an appropriate tripod is always a good choice. It’s early summer so whether it’s taking some amazing close-ups of the kids or grandkids playing ball, or the hawk nesting in a tree at the end of the road, there’s always a reason to rent a BAT. Which BAT is kind of brand specific, but for Canon shooters, a weekend with an 800mm f/5.6 is always a treat. And Micro 4/3 birders are all atwitter (that was good, wasn’t it?) about the Panasonic 100-400mm lens, which gives them 800mm equivalence. The other extreme is small and light and probably Sarah approved as ‘Dad appropriate’. 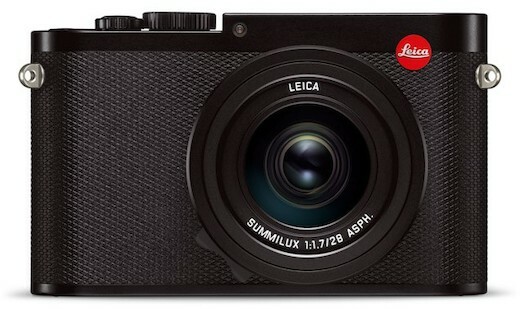 After all, it’s a Leica and most dad-aged people want to at least take a spin with a Leica. Even I do, occasionally. Plus this one has built-in WiFi so us dads can show the photos and video’s it takes to grand-kids and such. (Not to mention you get to say “Look at the video I took with a Leica”.) But honestly, mostly because this is a really good camera, quite different from anything else he’s shot with, and a fun alternative experience that’s really quite affordable for a long weekend or a vacation. KIDS is our acronym for Keep it Dead Simple, and these are perfect for a dad who is considering dedicated video cameras. 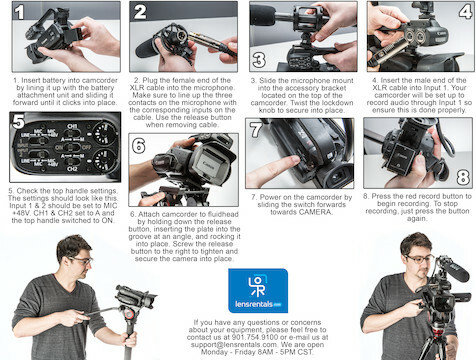 The kits consist of a video camera, monopod or tripod, a microphone for good audio, with instructions that have you up and running in a few simple steps. Perfect for recording a kid’s recital, birthday party, etc. OK, full disclosure: this is one thing on the list I haven’t taken home myself. But Tyler, who is a triple uber dad, takes one home about twice a week it seems. Because three daughters mean uncountable numbers of plays, performances, recitals and such. OK, this is the kind of thing that I’d like for a few days. Because medium format, that’s why. It’s the perfect “It will be really fun and interesting and probably save you thousands of dollars buying one” gift. Personally, I love shooting with medium format and making some awesome huge prints. For about 2 days. Then I remember how much more demanding it is on my limited photography skill set and decide my SLR is all the camera I need for another 6 months. Ah, harken back to the day when men were iron, ships were wood, persons wouldn’t write scathing comments about my using a gender-specific pronoun, and cameras didn’t have any of those fancy LCDs for reviewing what you shot. Nope, you set the ISO and the aperture, take your picture and take your chance, like a real photographer. Except, well, it’s still digital so you can bracket the heck out of everything and be pretty sure to get your shot. If you can’t tell, I don’t really get this one, but every millennial that works here is certain their dad would love it, so I added it to my list. I will admit the little ISO dial on the back looks pretty cool. And actually, the people who have used it really like it. So, I’m probably just being an old curmudgeon. And yes, this is another thing on the list I haven’t tested myself. These are really pretty fun and come at a nice discount compared to individual items. No matter what Dad shoots, there’s bound to be a package that interests him. There are over a dozen Canon shooter packages, including packages for portraiture, wildlife, even newborn shoots. 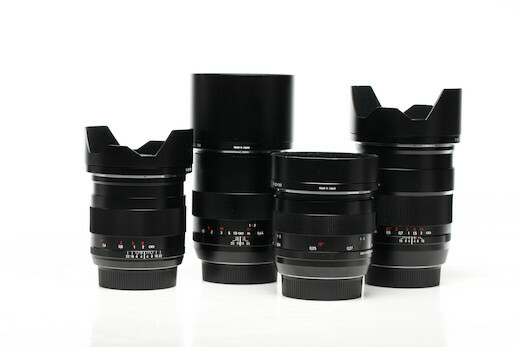 I think my favorite, though, is the Zeiss lens package, which sends four of the best Zeiss lenses in Canon mount. The same kind of packages are available in Nikon mount. OK, those other things are pretty cool, but I already have most of them, and I can check the rest out for a weekend as the perk they give me to work here. But here’s the stuff would I want for father’s day if I hadn’t already ordered it when I first saw it. BTW – I have linked to some for your convenience, but no I don’t care if you click on the link because I don’t get $0.02 when you do. I think it’s mainly the perversity of a piece of beautiful wood being blue tooth enabled that appeals to me. But I find this incredibly cool, and at $150 bucks reasonably priced. I mean, just think how long it takes to whittle those little keys. A company called Oree Artisans makes them and is worth a visit, if only because they have some of the most nauseatingly syrupy ad copy I’ve seen since the last time I visited the Leica pages. Stuff like, “Built to endure; the patina of use will only reveal its timeless beauty.” Could be a Leica camera, could be a wooden keyboard. Pretty interchangeable. I’m like everybody else. I end up leaving the camera home and then wanting pictures from my iPhone. They’re generally fine for putting on social media except for, well, light. Nova is an LED flash that connects to your phone via blue tooth and using its own app, helps you get all those great night time selfies. And actually some other pretty cool shots. Plus your iPhone can control up to 10 Nova flashes, which lets you do some pretty interesting lighting. 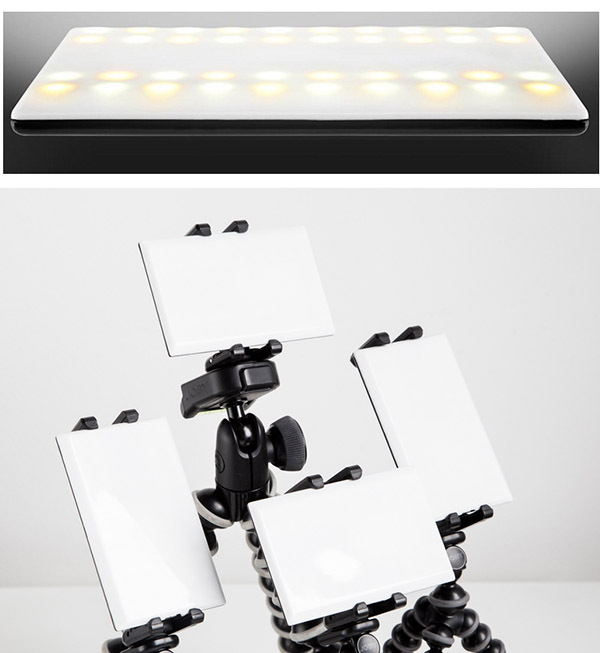 OK, I wouldn’t do any real lighting with a 10-light array controlled by my phone. But I can think of, oh, about 32 pranks that I would do. More useful than cool, but really handy and quite good. Your model signs on your iPhone or Android, it emails the release to you and them, and it’s approved by most photo agencies. This was overdue. Like most dad-aged people, I have some pride. You are not, I promise, ever going to see me sporting a selfie stick. Walking stick, maybe. But never a selfie stick. 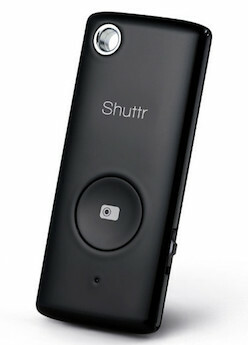 But a remote shutter release for my phone? OK, I’ll do that. And actually, be in a picture. It’s small enough to fit on your key ring and works with about every possible phone. One downside, this brand ships from Hong Kong so it may take a while if Amazon is out of stock, but there are several similar devices on Amazon. Because you didn’t read this till it was almost Father’s Day, did you? This is more for Dad’s with smaller kids, but a 1.5″ wearable camera that clips on a child’s shirt and streams video to your phone is awesome. Everybody’s got home movies of their kids, but not many have it from a kid’s eye level. Sure you could use a GoPro, people do all the time, but let’s face it, your kid looks pretty silly at the playground with a GoPro strapped to their head. This will fit in your pocket and has a nifty little magnetic clip so when the opportunity arises you just clip it to the child’s shirt and off they go. And honestly, years from now I bet it would be cool for your grown up kid to have a video talking to you, looking from their eye level. Yes. This is it. The ultimate bestest father’s day gift. I think. For full disclosure, I haven’t used all of them yet, but I just spent the bulk of my kid’s inheritance buying about 30 of these for my new house. Sure, I know, everybody’s got ‘Wi-Fi controlled mood tinged LED lighting’ cool all through your house these days. But do you have ‘battery built in the bulb so if the power goes out it keeps working for hours’ cool? Do you have ‘Wi-Fi stereo speaker built into the bulb’ cool? Do you have ‘wireless HD video security camera built in the outdoor floodlight cool’? Do you have ‘Wi-Fi extender hub built into the bulb’ cool? Do you have ‘built in motion detector so the lights turn on when you walk in a room cool’? Yeah, I thought not. But LED lights from Sengled do. While I do think these are ultra awesome, I would caution that the video camera light, as you might expect, doesn’t work quite as well as I would hope. Yes, once again my life serves as a warning for what you shouldn’t do. So there you go! If your Dad already has everything on this list, then get him a card. But he doesn’t. Unless you’re Drew. FYI, the link for the gift certificates ( https://www.lensrentals.com/gift_certificates/new ) requires you to log in. I think it confused a relative of mine that hadn’t set up an account yet. Might be worth putting a landing page there that is public. You and me both, James. 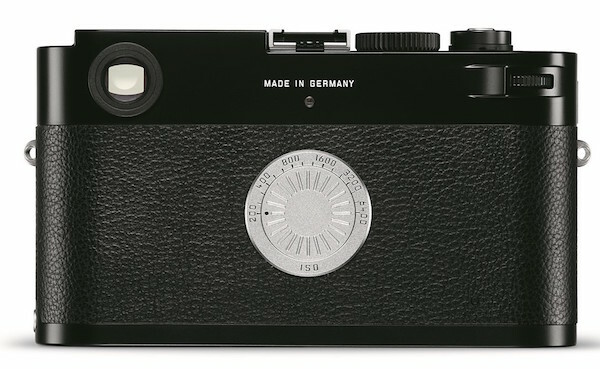 I still don’t get it, that is the leica m-d a digital camera with out the display, and at $6000.00. 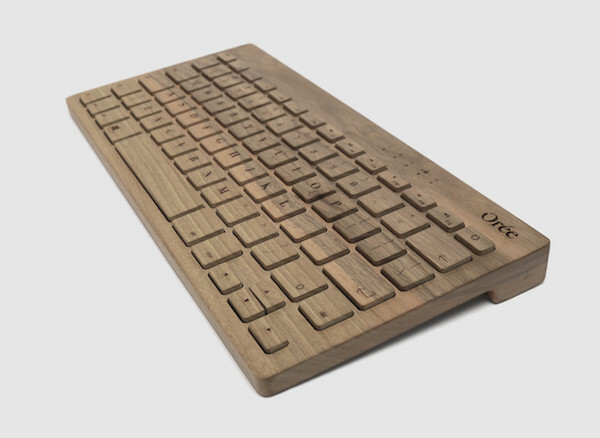 You could’ve switched the blurb for the artisanal keyboard and the M-D and I wouldn’t have noticed a difference. It’s still working for me, but I’ll relink it just to see if that’s better. With Chinese capacitors I’ve seen mostly ‘work well, blow up fairly early’ kind of results, but too soon to say with this stuff. The camera is pretty buggy and a bandwidth hog, and the ‘stereo’ sound is well, best I can tell, just sound, but it’s decent for non-audiophile kind of uses. I really like the battery in a bulb thing, works well for me, but I see there are a ton of competitors in that area now. First of all: The link https://sengled.com/collections/ appears to be broken. Since the do-it-all product seems to be pretty common nowadays (we’ve seen D-SLRs that do movies better than dedicated camcorders and camcorders producing better stills than D-SLRs, there are flashlights in our smartphones, modern cars are WiFi hotspots on wheels), I’m sure the Sengled bulbs will have some audio smog coming out of them, bluetooth reception might be decent and it can possibly rival GoPro regarding quality of full HD material. So the Sengled pulse works on either 100~120V or 220~240V AC, 50/60Hz. Power consumption would be 15W (light and – crappy? 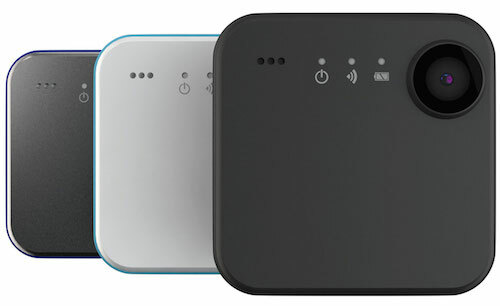 – audio), peak 30W. Brightness specified at 600 lumens, color temperature: 2700K, Ra: 80 (so it has about the lowest color rendition that you can possibly expect from white LEDs) and the light beam angle is 105°. Cool. 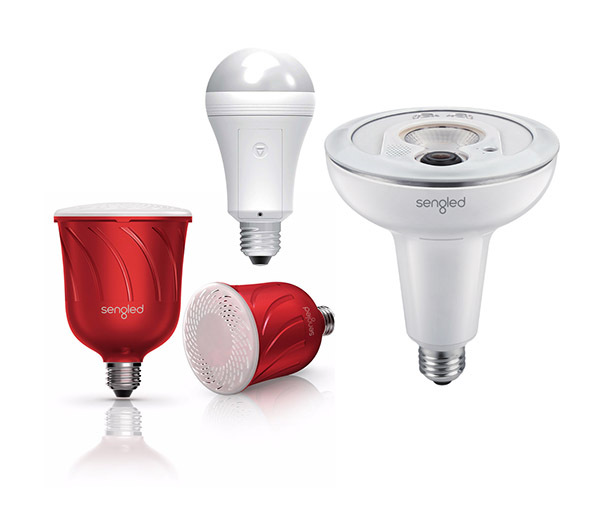 Most important question: Did the Sengled folks invest into a halfway decent capacitor and/or dimming circuit or does the thing flicker up to a level where every epilepsy candidate suffers a lethal attack? Since you have 10 of those, curious minds want to know since most of the Chinese el-cheapos do exactly that: Trying to be a better stroboscope. Osram LED STAR PAR16 (http://www.osram.de/osram_de/produkte/led-technologie/lampen/consumer-led-reflektorlampen/led-star-par16/index.jsp) e. g. do not. 6 bulbs for 30 bucks. Thank you, I’ll get that changed. Roger, “Could be a Leica camera, could be a wooden keyboard. Pretty interchangeable.” is going to be my new email signature. Timeless.